Deciduous shrub. Hairy dark green leaves that color nicely in fall. 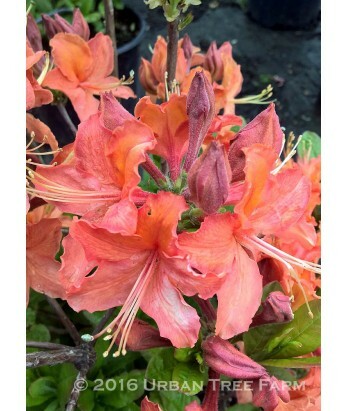 Roundish trusses of profuse, fragrant, vibrant reddish-orange flowers before leaf out. Blooms in late spring. Regular water needs in well-drained soil once established.